► Challenge YOUrself ◄: One of a kind . . . with Giorgia! One of a kind . . . with Giorgia! 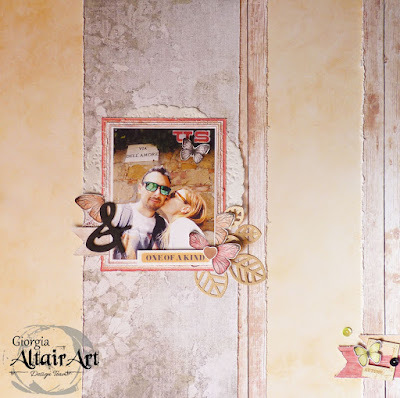 The photo of her with her husband is beautiful! 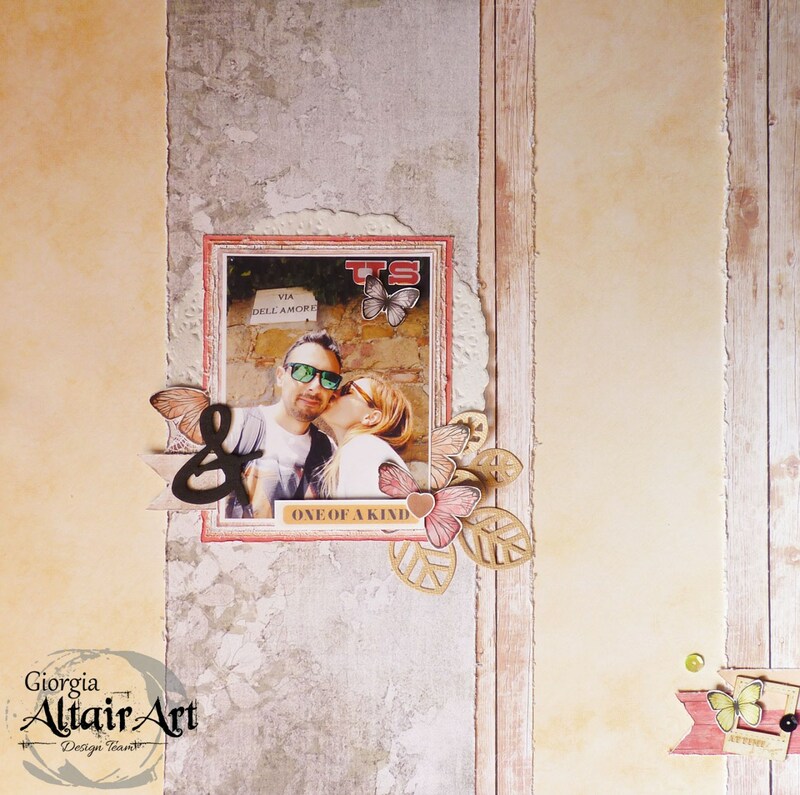 Thank you for sharing your gorgeous page, Giorgia! 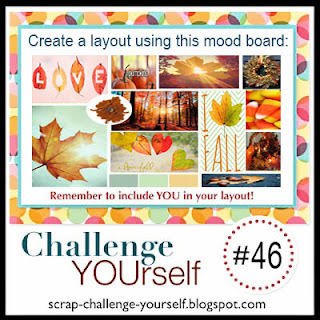 You still have plenty of time - you have until November 4th to link up your layout here. remember to include a photo with YOU in the frame! Have a happy, scrappy week! WOW, that is so cool! Your layout is beautiful!!! Explore . . . with Tracey! Memories . . . with Sandy! 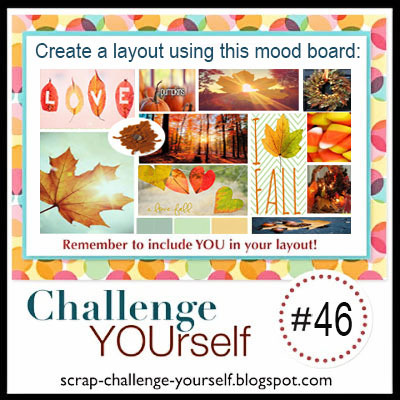 Challenge YOUrself #46 . . . a Fall Mood Board! Traveling Memories . . . with Esther!